Trouts Fly Fishing | NEW: Kid's Tributary Waders from SIMMS! With the holidays approaching and the temperatures dropping, give the angling kid in your life a wader that can keep up with them and take a beating! 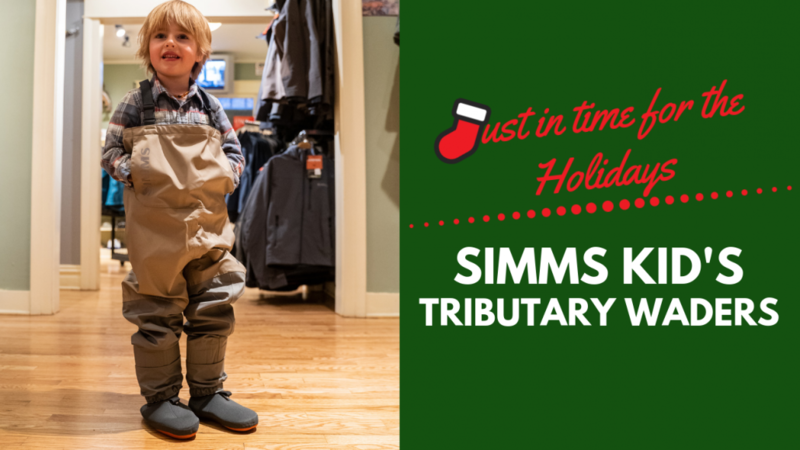 Trouts Fly Fishing was one of a few select dealers from across the country that received an early shipment of the all-new Simms Tributary Stockingfoot Waders which are available in KIDS sizes! The all-new SIMMS Tributary Stockingfoot Waders are durable, breathable waders with a mobility enhancing build in pint-sized proportions. Priced at $139.95, these waders would make the perfect Holiday Gift for the next generation angler in your life! Want to outfit your pint-sized angler in GORE-TEX? Check out the Kid's SIMMS Gore-Tex Stockingfoot Waders. These kids' waders are loaded with features designed to keep young ones focused on fishing and enjoying the outdoors! SHOP KID'S WADERS FROM SIMMS!